Many different forms and types of social media seems to have cropped up all over the Internet overnight. Users have varying reasons to use these social media outlets; promoting a business or keeping up with friends are just two. You might have only heard of a couple types of social media, but continue reading to find out about a few that you may not know about. Social networking is also considered a more casual form of the many forms and types of social media. FaceBook and Myspace are the two biggest examples that almost everyone is familiar with. The purpose of FaceBook and Myspace, and similar sites, is to socialize with friends, classmates, or other people. Most social networks work this way: find a friend, add a friend, read friends blogs or notes, see what friends are up to with real-time updates, and unite with like-minded people. Some of these type of sites are general while others, like LinkedIn connect you with people in the professional world so that you can network with those in the same field as you or to make connections in companies that are similar to the one you work for. Linkedin is great for those wishing to find those in the same profession. If you have visited a video game website or a (insert hobby here) website, then you've no doubt seen forums. These are unique portions of the website that allows visitors to interact with each other with their opinions, advice, and help. One thing that makes the forum special is that you know what to expect: if you join a forum about video games, you will see mostly topics about video games. Forums are a great way to find people who have similar interests as you. 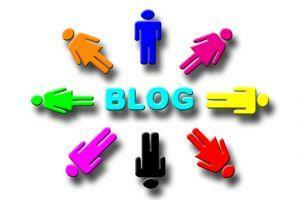 Microblogging is a new phenomenon in recent years and is a cousin of texting. Within a certain amount of characters, usually 160 because you can send posts through a mobile phone, you can upload quick thoughts for others to see. Through the cell phone or over your computer, a microblogger can express thoughts, feelings, and events immediately. At the end of June 2009, the recent protests in Iran have been microblogged through Twitter. Instant information and eye-witness accounts made the protests real and provided thoughts that could not be ascertained from a news report. Since there is so much information on the web - be it news, data, or other resources - assimilating them in one place that's referenced for you personally would be a daunting task if you attempted to do it manually. That's where sites like Digg thrive. You can provide links that you find useful by "digging" them and letting other Diggers read them. This could be anything from a news story to a funny video you saw. You can either approve it or not and over time, sites like Digg and StumbleUpon can provide you links based on your likes and what you've read. This form and type of social media is often used to promote a business. Webisodes (the upcoming CBS comedy, We Need Girlfriends started as a Webisodic comedy on YouTube). A lesser known type of social media is the search engine. Years ago, you typed in what you wanted and the matching results appeared. Now, you can customize your searches with local results, rate the results, and even save what search results you received. With so many different forms of social media, how do you tell what to use? That depends on your intended use. Promoting a business or product? Use them all. Just want to keep up with your friends? Try the popular ones. Just want to rant and rave? Find out who is using what the most. Whatever you choose, don't be afraid to try the next innovative thing.